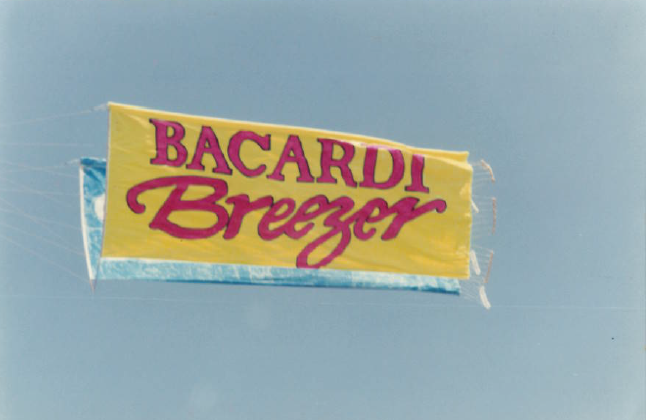 In 2004, Van Wagner acquired the family-owned and operated aerial advertising company Aerial Sign Co., which was the chief airplane advertisement provider in the northeast, west coast, and Florida from the early 1950s through the late 1990s. After the acquisition, the name changed to Van Wagner Aerial Media, but the staff and operations team, for the most part, remained the same. 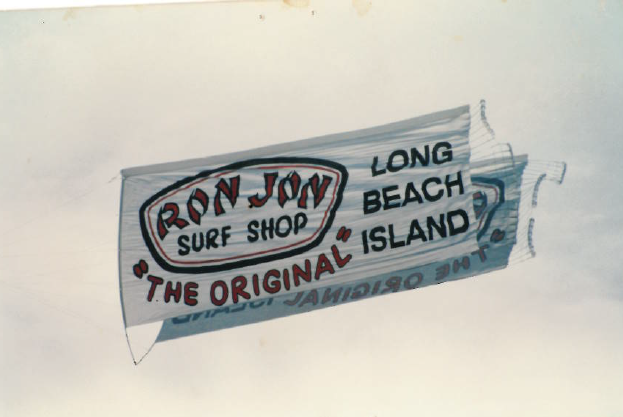 Many of our pilots and operators have been with the company for a long time, and as a result, have seen the evolution of aerial advertising first-hand. 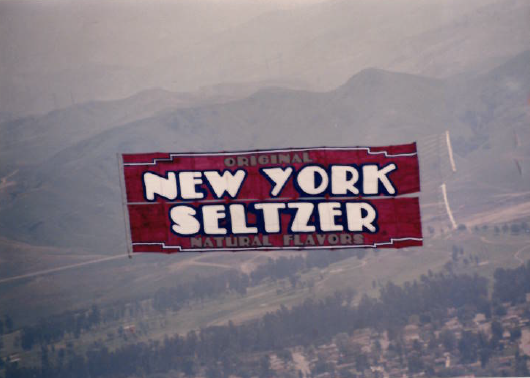 - Before digital printers, aerial advertisements were hand painted. You can still see a rainbow of paint splatters on the floor of our hangar in south Florida. 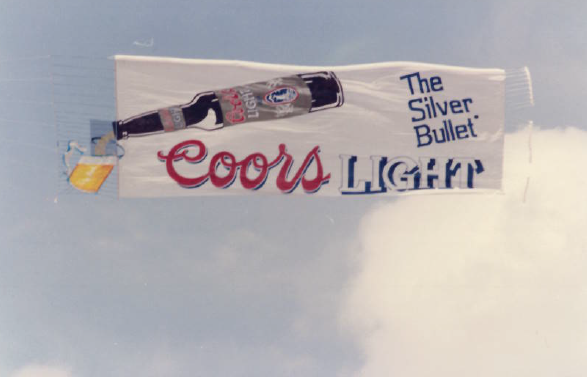 - In the late 1960s, Aerial Sign Co. was the first company to implement wing extensions, which allowed our planes to pull more weight and larger banners. This was the first of many modifications that allow us to tow banners more efficiently. 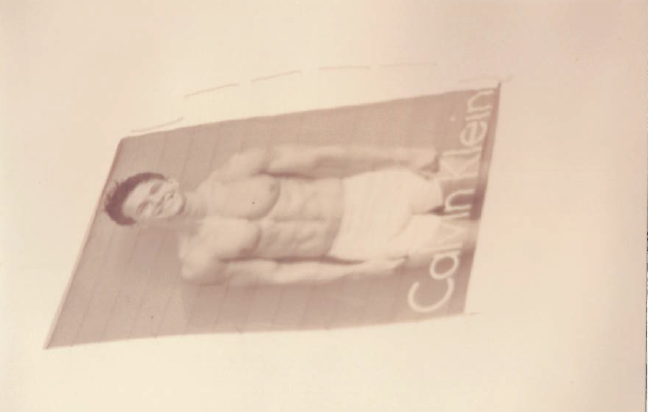 - The first banner below, featuring Mark Wahlberg, or Marky Mark, was our first digitally printed banner. It was produced circa 1989, and costed around $6 a square foot! A hefty price tag for the time. 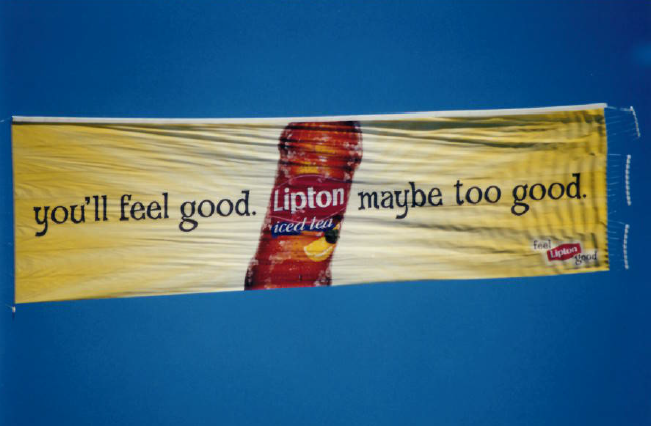 Like most media, our banners have changed with the times! 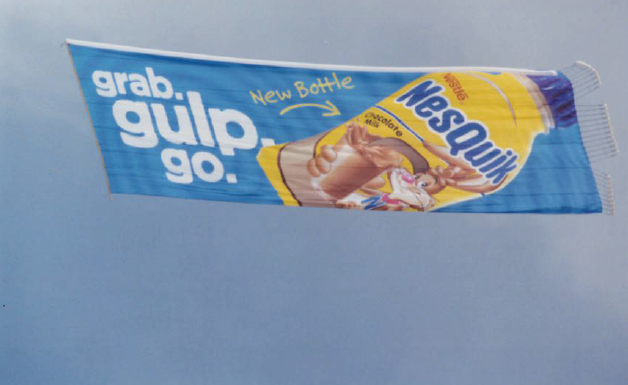 We are proud to say that we have the biggest and best-looking aerial banners around, and we are the only aerial advertisers in the industry that have modified the aerial banner to include a pipe. 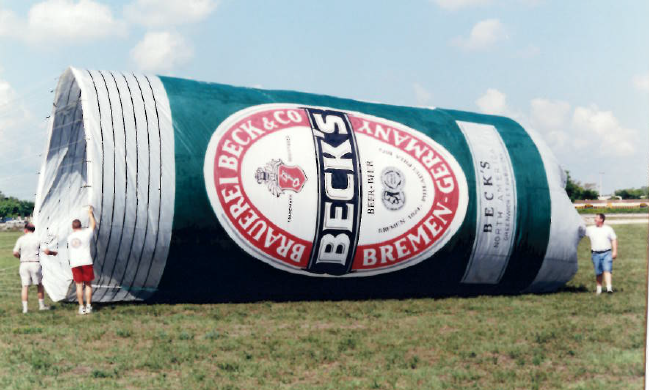 A pipe is a tube-like addition at the top of the banner that not only stabilizes it, but also allows air to funnel through, creating a far less-wrinkly presentation. Check out the time-lapse video below to see how our airplane banners are made! We hope our current and former clients, friends, and staff enjoy this post as much as we do! If you have any questions about our aerial advertising capabilities, contact us today or click below for a free quote!